In 1999, a group of senior BC architects gathered at the Architectural Institute of British Columbia (AIBC) to explore ways to recognize and encourage excellence in architecture. Through their efforts, the Architecture Foundation of British Columbia was established to support the pursuit of these goals. 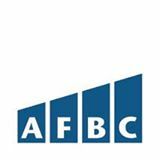 The Architecture Foundation of BC (AFBC) was incorporated under the BC Society Act in January of 2001, and formally registered as a public foundation on March 1, 2001. Donations so far have been very generous, but in order to build a strong and ongoing funding capacity, we need your continued support. The AFBC offers a number of events for industry members to interact and learn, while supporting excellence in architecture. Funds raised from AFBC events, in addition to generous sponsorships and endowments, provide ongoing support for programs and grants that promote awareness, understanding and appreciation of architecture in British Columbia.